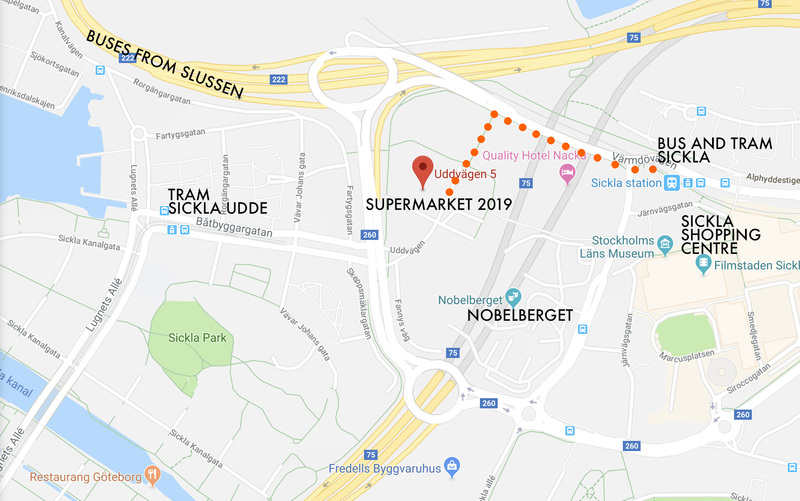 SUPERMARKET 2019 – Stockholm Independent Art Fair will be held on 4–7 April 2019. Buy your tickets online in advance of the fair to make sure you get access. Early Bird – buy your tickets now and get a discount! Tickets can be purchased at the entrance (subject to availability). 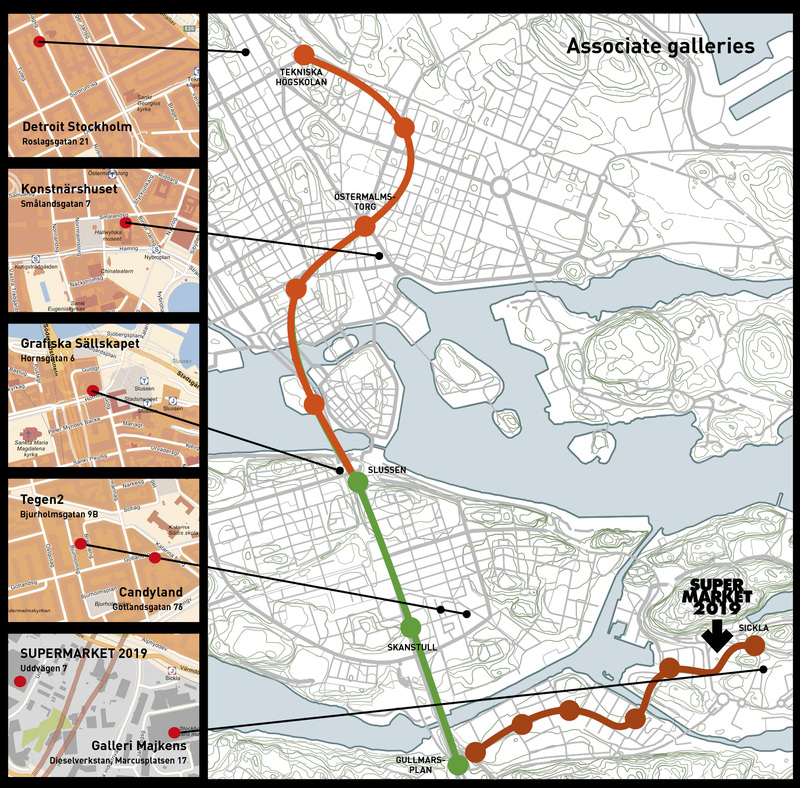 Buses 401, 403–422 from Slussen (metro station) to Sickla Bro. Tram to terminus station Sickla. This year for the first time we introduce Associate galleries – a collaboration with artist-run initiatives around Stockholm. These are: Candyland, Detroit Stockholm, Gallery Majkens, Grafiska Sällskapet, Konstnärshuset and Tegen2. Gallery Night/Openings at the associate galleries: Friday 5th April 18 – 22. Buses are the most budget-friendly option from all airports. All alternatives (Bus, fast train, taxi) arrive in the City terminal, connected to the Central station/T-centralen Metro station. Hostelz.com is the most complete database of hostel minformation available anywhere online. The site lists all hostels for free and includes direct contact info for hostels and exclusive photos and reviews.